A new Plantlife-led project to save and protect ancient trees and coastal woodlands has been backed by the Heritage Lottery Fund. A new Plantlife-led project to save and protect the ancient trees and coastal woodlands, has been backed by the Heritage Lottery Fund (HLF), thanks to money raised by National Lottery players. Plantlife has received initial support from the HLF for the Building Resilient Woodlands in the South West project. Development funding of £82,469 has been awarded to help Plantlife progress their plans to apply for a full grant in 2018. 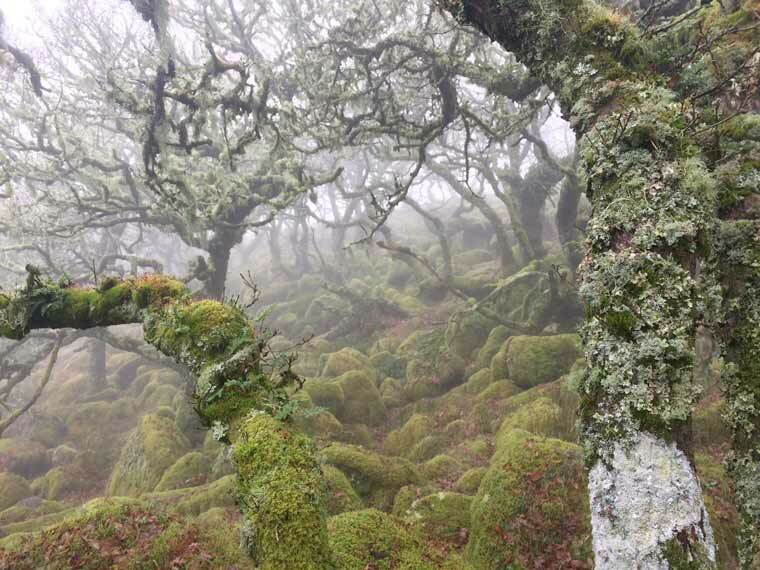 The project aims to carry out essential woodland conservation work that will help to protect some of the most rare and threatened lower plants (lichens, mosses and liverworts) and contribute to our knowledge about how best to care for them and make them more resilient in the face of climate change, air pollution and tree diseases including ash dieback. Fostering public engagement is at the heart of the programme, which includes citizen science opportunities, a schools future scientists programme, and specialist training to enhance the volunteer skills base and community outreach. Plantlife will be working in partnership with the National Trust, Exmoor National Park, Dartmoor National Park, the Quantock Hills AONB, Cornwall AONB, Devon Biodiversity Records Centre, British Lichen Society, the Woodland Trust, and Natural England and hopes to work with other partners in the area, too. Rachel Jones, Plantlife’s development manager for the Building Resilience Project, said, “The ancient deciduous woodlands of the south west of England are a wonder to behold; ancient trees in grey-green jackets, soft bright mossy hummocks, carpets of ferns and misted light beams flooding through to the forest floor. As well as being places of discovery and joy for generations, these woods have inspired generations of writers, poets and painters including Wordsworth, Coleridge and Tolkien. “Sadly these ‘Atlantic’ woodlands, one of Britain and Ireland’s most important habitats and home to a vast diversity of plant life, are increasingly threatened. We are thrilled to receive support from the National Lottery so we are able to make plans for this crucial conservation work. Graphidion (crustose species that form a mosaic on smooth bark including some of the earliest recognised lichens – the script lichens, the pox lichens, and barnacle lichen).